The centenary of the start of the First World War has caused a surge in battlefield tours. I snapped this photo yesterday while waiting for an underground train. It’s nice to see that one of the cross-channel ferry companies is cashing in on all of this WWI nostalgia. 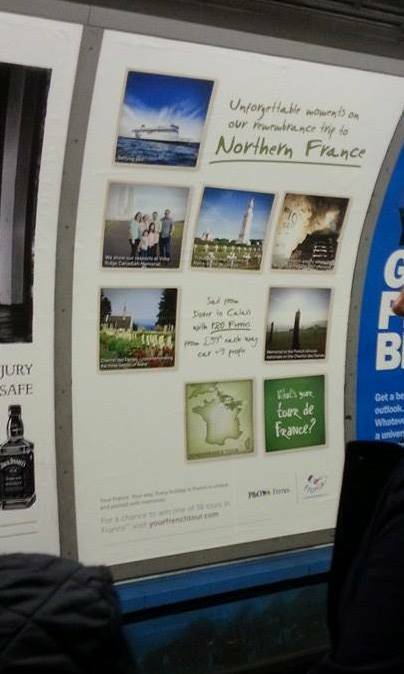 I noticed that they are encouraging Londoners to go visit Vimy Ridge rather than some other battlefield in France.